One of the first questions new saltwater hobbyists seem to ask is whether they really need a protein skimmer for their first setup. Especially when they start to shop for a skimmer. The short answer is no, you don t have to run a protein skimmer on your setup. There are many hobbyists that run successful systems without them. However, these hobbyists also realize the importance of regular partial water changes for the aquarium and how important water changes are to the health and well being of the animals in their care. By not running a skimmer you really do need to stay on top of those water changes. Otherwise you will start to see nuisance algae growths cropping up all over the place, especially if you have high output lighting like metal halides, T5 s or VHO flourescents. The initial expense of getting a good protein skimmer is justified in the peace of mind it gives the hobbyist and the overall water quality improvement it can provide. I m telling ya, once you see and smell your first collection cup full of gunk that is removed from your aquarium you will be hooked on skimmers. The way most systems are stocked nowadays (rarely are they under stocked) skimmers should be pulling out at least a cup full of skimmate from the system daily. Do you really want that amount of dissolved organics accumulating in your tank in between water changes? Me neither. Running a system without a skimmer and without live rock would seem to be someone that is just trying to A) set themselves up for failure or B) they like bashing their heads against walls. If you re planning on a system without live rock and no protein skimmer I would simply ask, why? Make the system as easy to maintain as possible and chances are you will be able to enjoy it more. Knowing how a skimmer creates it s bubbles could be a consideration for the hobbyist. Some are more popular than others. It really comes down to doing your research, just like everything else in this hobby. Are you going to pick a skimmer just because it s a downdraft skimmer? Of course not. You are going to come to a decision based on reviews from other hobbyists or first Hand experience with a unit. How easy is it to get into the skimmer with your arm for scrubbing the walls? You won t be cleaning the walls except maybe every 6 months to annually. Skimmers can be a valuable asset for your saltwater aquarium. They can help create a more stable environment for your animals and a healthier one too. If you just can t afford a decent protein skimmer you should honestly rethink the whole saltwater thing, at least for now. Especially for a beginner to the hobby our goal here is to make sure you have all the tools you need to succeed while having fun. Save up enough money until you can afford one a later date. You will be glad you did. One last thing, skimmers are very expensive and the old saying that "you get what you pay for" certainly has some merit with skimmers. Trying to go the inexpensive route will often end up costing you more in the long run. I ve been there and done that. Don t waste your money on a cheap skimmer. This piece of aquarium equipment is just too important. Get a good one from the start after researching them thoroughly. 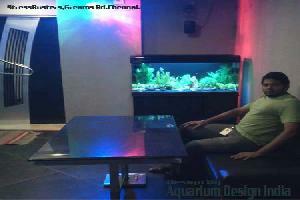 Keywords : Aquarium Accessories, Aquarium Protien Skimmer.